PATIENCE is definitely something I struggle with. I know I’m not the only one. It is however, a skill and an attitude that can be learned and put into practice. For me, I have so many ideas, goals, dreams, and things I want to do it’s hard to stay patient while formulating plans, setting goals, and building the foundation for everything I want to do! And that’s the part of my life I see myself in – the foundation stage. I’m laying the foundation for an awesome and grand life to come. It takes time. Alright, we all know that it’s unhealthy to be stressed, anxious, angry, and upset, right? Those feelings and emotions are the exact opposite of what it means to be patient. Patience is the antidote to all of this. I view patience as a tool used to combat frustration in my life. Often times this frustration leads to stress, anxiety, and then anger. So I like to think I’m attacking the root of all those negative feelings and emotions by using and developing my patience to keep my level of frustration suppressed. With that being said, patience makes you an overall healthier person. Use patience to purge yourself of all negative emotions. Think about all the areas of your life that make you frustrated, stressed, anxious, and angry — I guarantee you that more patience in that area will result in a healthier relationship with that aspect of your life. You all already know I talk about attitude a lot! It is the single most important aspect of personal development, IN MY OPINION. Patience has a huge impact on your attitude. A co-worker of yours messes up on a task and that in turns fudges up the task you’re working on – this might make you look like a dud with your responsibilities. An impatient person may blow up at the co-worker or bad mouth the employee behind their back. Because of the impatience being deployed, your attitude towards the situation has become sour. Not only will the individual not like working with you, but the people you gossip with will lose trust and respect for you — they won’t want to work with you! People will view you as someone with a short fuse! You don’t want to be that person, do you? Of course not. The level of patience deployed effects the attitude of the person dealing with the situation. I can guarantee you that a good attitude in a situation like this will lead to more promotions, more economics, and more influence than could ever be achieved by being impatient! Isn’t it funny how everything seems to tie back to the attitude you take towards situations? Having empathy for someone is a result of your attitude which in turn is a result of the level of patience you deploy. What patience does in regards to empathy, is, it helps us understand, relate, and accept people. With empathy we’re able to tolerate other people’s choices, actions, and words. With empathy we try and really understand why people function the way that they do. Patience helps us be more empathetic in our lives. We ask questions to be more empathetic in situations. We try to understand the mindset of others. We learn about others. We dig for the root to particular actions taken. Patience effects the level of empathy we have in our lives. How Can We Develop and Practice Patience? Make a conscious decision to practice patience each day. Along the same lines, think about what you’re going to say before speaking. Take a moment and think on your response. This is a habit that can be developed! Study Patience – Seek knowledge on the subject itself! You’re off to a good start by reading this post. Patience is a very desirable character trait. I urge my readers to deploy patience. Learn all you can about the subject. I guarantee having more patience than the average individual can and will change your life. 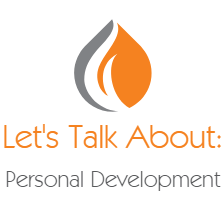 I will limit this post to what I have already written, but I could go on for hours — why I love personal development. Please add your experience with the concept of patience in your life to the comments below. Also, offer suggestions on how to be more patient, how patience has served your life, and stories where having patience really benefited you. Great post. Having the right attitude is where it’s at. Loved the Bruce Lee quote at the end.